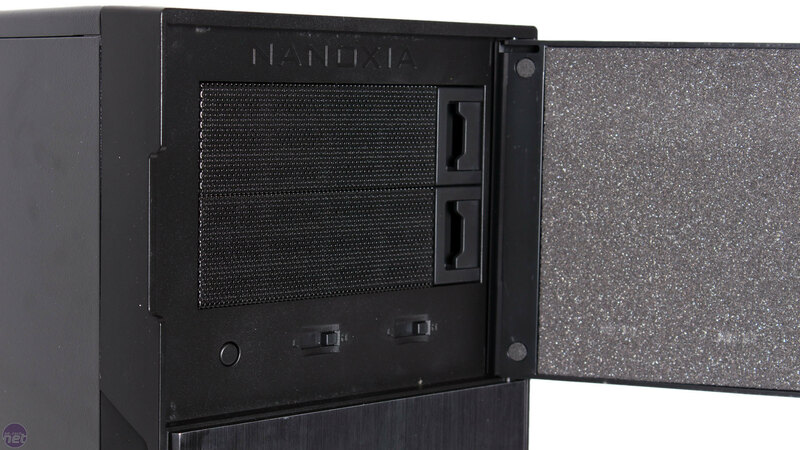 As the name suggests, the top priority of Nanoxia's Deep Silence range of cases is noise reduction. 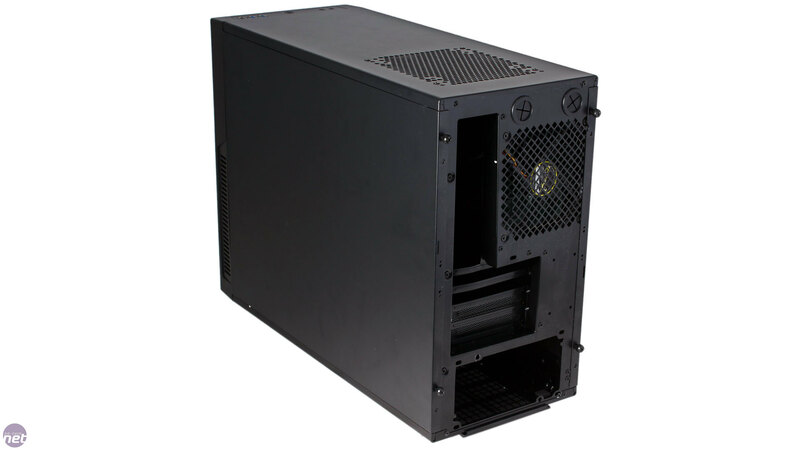 While a bespoke water-cooling system can do wonders for your system's noise output, cases designed specifically to contain noise are an easier and more financially realistic option for most people. 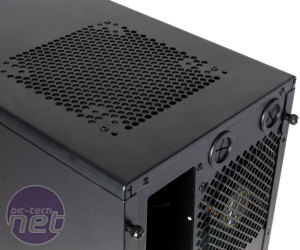 The noise (or rather the lack thereof) of the Deep Silence 1 and Deep Silence 2 chassis certainly impresses, but cooling performance also takes a hit – a classic trade-off. 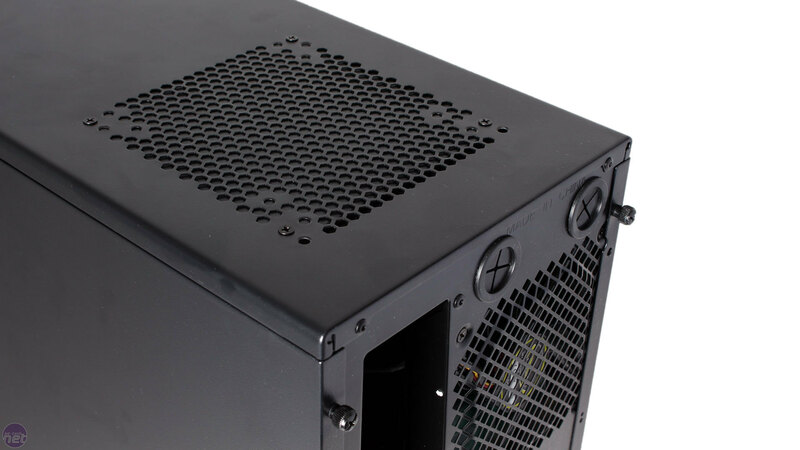 We're now looking at the Deep Silence 4 (Deep Silence 3 having apparently been skipped), which brings the now familiar design to the micro-ATX form factor for an attractive £65. The Deep Silence 4 is available in three different colours, and each one has a nice brushed metal effect on the plastic front section. 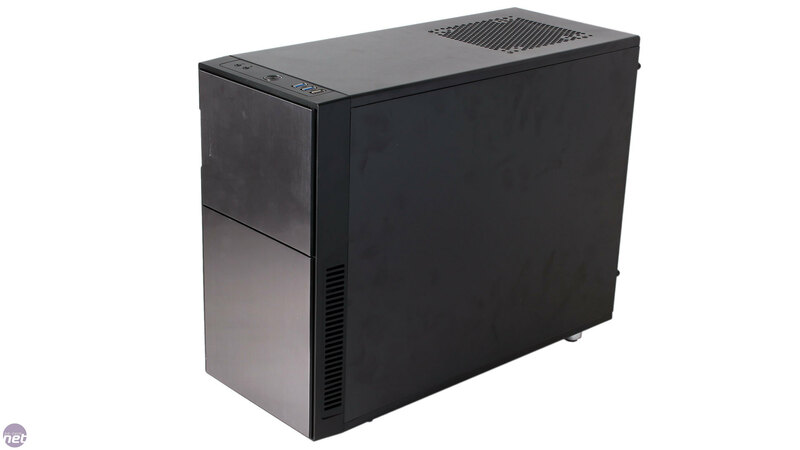 Elsewhere, there's little visual fanfare, but like the Fractal Design Define series the case is modest looking and refined. 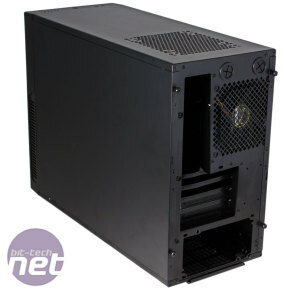 Build quality on the outside is good all round, and the feet have large rubber pads to contain vibrations, and they also provide the case with plenty of grip and clearance. 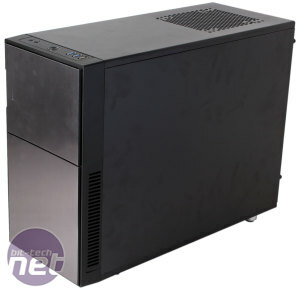 The Deep Silence 4 features a case door that occupies the top third of the front panel. Opening it up reveals the reset button and the two optical drive covers, which can easily be clipped in and out of place. You'll also find an impressively powerful set of fan controllers for so small and cheap a case. Each of the two variable speed sliders can be used to control the speed of up to three fans each. While we can't complain about the ability to control six fans, it's a little odd given that you can sadly install just three to the chassis itself, including the two that are bundled with it. These 120mm Deep Silence models, which have green blades, are fitted in the front intake and rear exhaust positions. 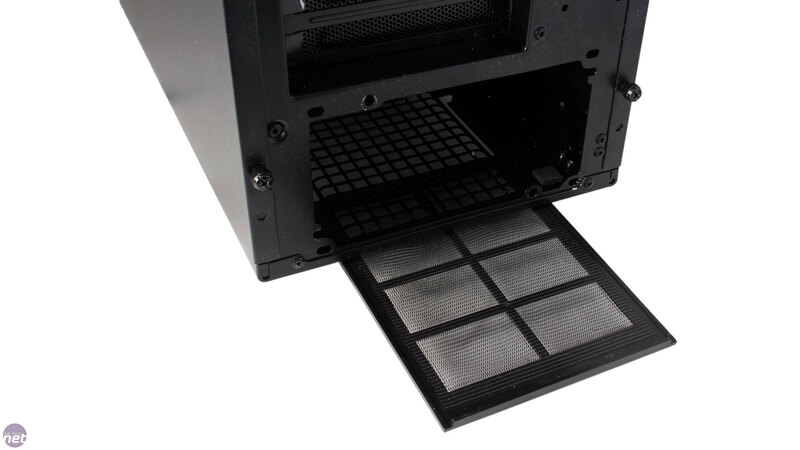 The third and final fan mount, which can take both 120mm and 140mm models, is found in the roof, as the two side panels and the floor of the case are devoid of any extra ones. While we understand that the Deep Silence 4 is designed for low noise, having such a limited ability to expand upon the default cooling is nonetheless disappointing. The front intake pulls air in through small vents on the sides of the front panel, as well as a single larger one beneath it. It's blocked off entirely at the front, however, so airflow from this fan is unlikely to be that high, even at full speed. Thick, spongy material designed to suppress noise lines the inside of the front door. Sadly, the bottom section of the front has no door, but it too is backed by noise dampening material, as are both side panels and the roof. 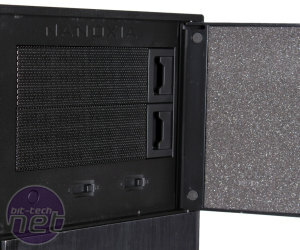 The roof even includes a foam-backed blanking plate for the single fan mount, which is excellent to see – your case will be quieter and protected from dust when you're not using this mount. 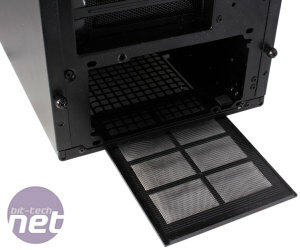 A slide out dust filter is also provided for the PSU, while the front fan has its own one too (though you'll need to pop the front panel off to access it), meaning the Deep Silence 4 is fully shielded against dust. 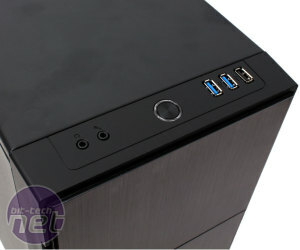 The final thing of note on the case's exterior is the front panel connections. 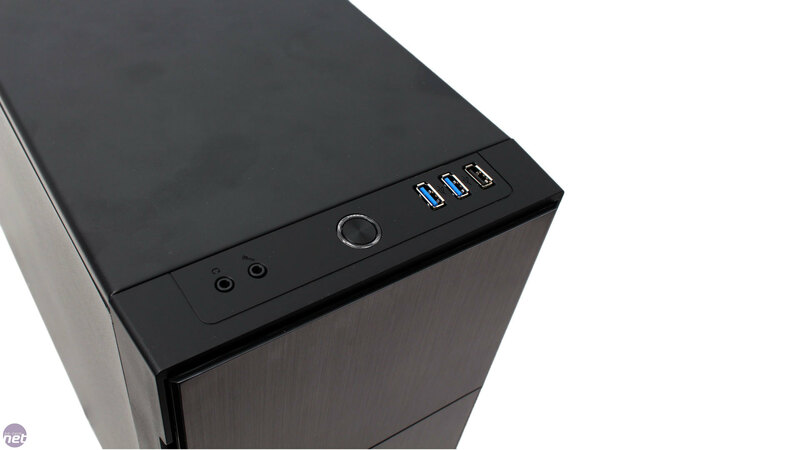 There's nothing special here, though with two USB 3 ports alongside a USB 2 one and the usual audio jacks, there's easily enough for a £65 case.